Quality Inn Collegiate offers affordable and air-conditioned hotel with free Wi-Fi and cable TV. 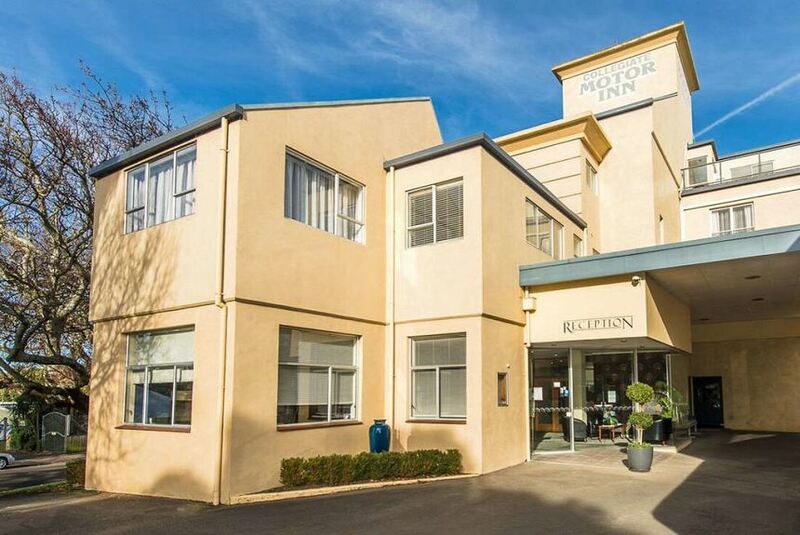 Within walking distance of central Wanganui and Victoria Park, it offers free parking and a small fitness centre. All rooms have an en suite bathroom and tea/coffee-making facilities. A 5-minute drive from Cooks Gardens sports centre, it is a short drive to Whanganui River and the Waimarie paddlesteamer. There are 3 golf courses in the hotel's vicinity. The restaurant and café are open every day for breakfast and dinner. Solo travellers particularly like the location — they rated it 8.2 for a one-person stay.